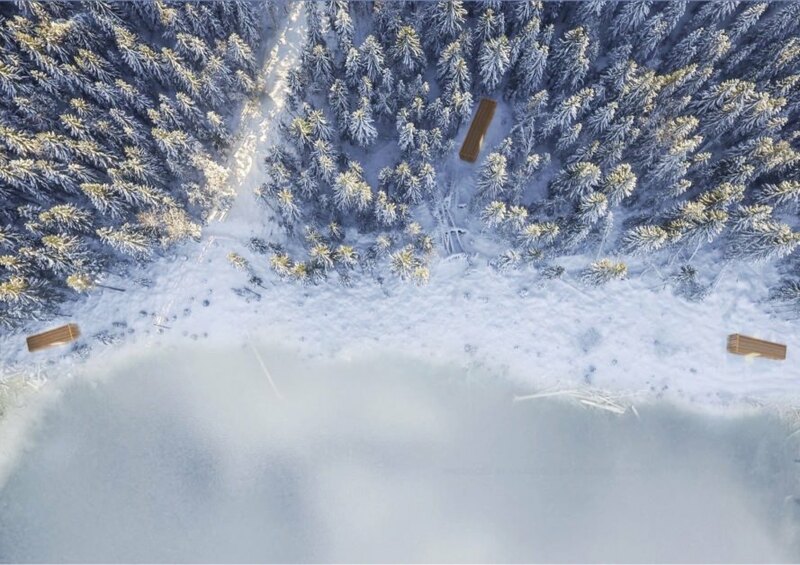 Bee Breeders and Lauku Tea have recently announced winners of their Silent Meditation Forest Cabins competition, an open international contest seeking designs for off-the-grid meditation cabins in rural Latvia. Launched in search of eco-friendly and cost-effective proposals for compact and easily replicable cabins, the competition asked designers to propose a series of all-season cabins that could comfortably house a single person for nearly a week, have enough room for meditation activities and food storage and incorporate alternative lighting options and a heating system. The winning proposals will be considered for construction. Keep reading to see the top three winning entries. First prize was given to designer David Florez and Stefani Zlateva for the Solo Cabin, a timber-clad building comprising three stacked and staggered 2-by-2-meter spaces symbolic of the “various layers of nature,” namely the forest floor, the understory and the canopy. The tall structure is centered on an atrium that’s flooded with natural light thanks to a roof made from polycarbonate sheets. Further tying the project to the environment, the proposed construction recalls techniques found in traditional Latvian architecture. In second place is Nest, a proposal by Marko Simsiö of the University of Oulu. Designed as a treehouse, the cabin is elevated into the canopy and clad in charred wood to blend it into the bark of the surrounding trees. In contrast, the interior is lined with light spruce and minimally decorated. The jury praised the design for its low-impact approach. A team from Wroclaw University of Science and Technology took third place with Aesthesia, a proposal that consists of three rectilinear cabins. Each cabin is made up of a series of modules, half of which cater to the basic necessities while the other half are used as a meditation zone with three different rooms. Large windows frame views of the outdoors. 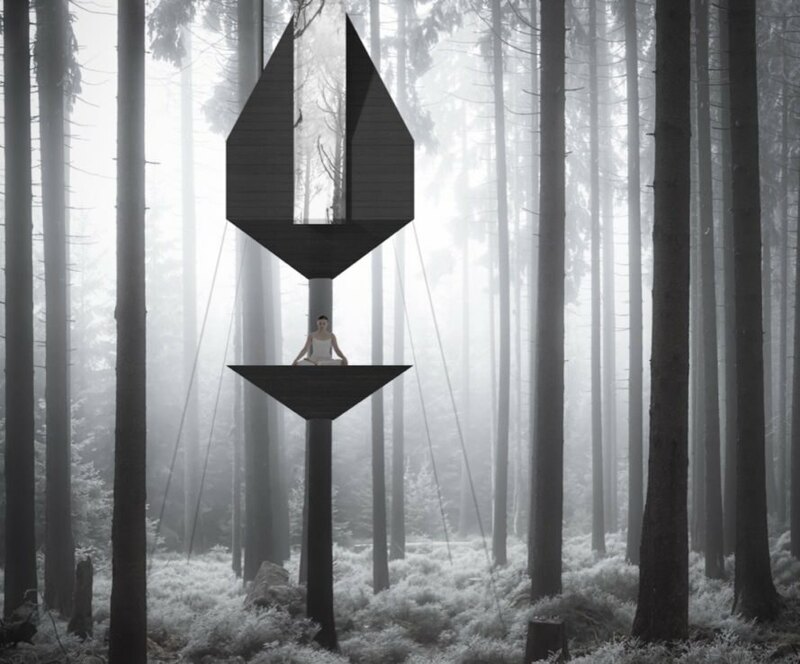 Bee Breeders and Lauku Tea have announced winners of the Silent Meditation Forest Cabins competition. The Solo Cabin won first prize. The cabin symbolizes the various layers of nature: the forest floor, understory and canopy. The project uses techniques found in traditional Latvian architecture. Nest took second place with its treehouse design. The interior is lined with light spruce, while the outside features charred wood. The judges liked the low-impact approach of Nest. The third prize winner is Aesthesia, a proposal consisting of three rectilinear cabins. Each cabin is modular in its design. 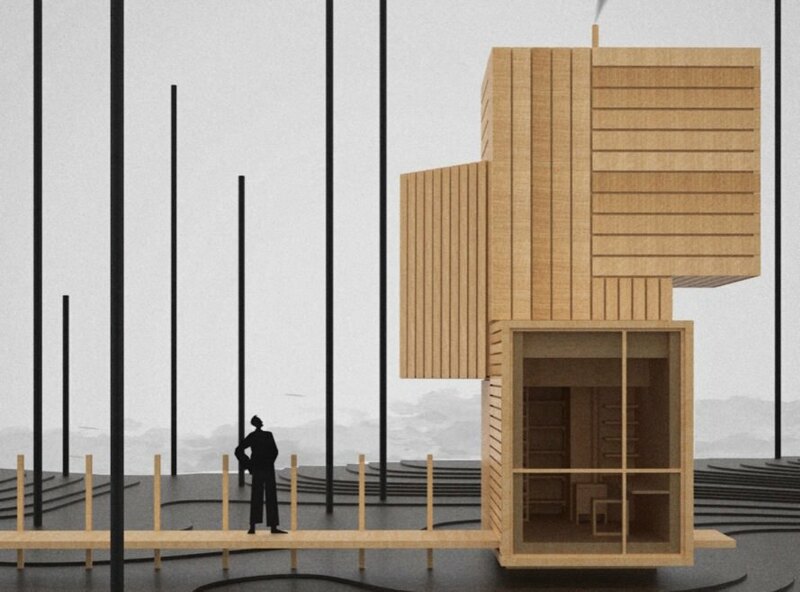 A look at the Aesthesia cabin proposal.